The Grand InterContinental Seoul's French restaurant "Table 34" is inviting Mr. Steve Szabo, the Executive Chef of Palazzo Versace and his own designer menu selections to present the finest in contemporary cuisine from Sept 7 to Sep. 14, 2005. Palazzo Versace is the first Versace hotel and the elegance of this signature label has been extended into a landmark hotel. During this special promotion Table 34 will be featuring soups such as Shellfish and cognac bisque with prawn and white bean and Chilled cucumber soup with oyster and crab. Main dishes include Paju chicken with champagne cream, Melting potatoes, wild mushrooms and truffles or Duck breast with fresh endive, baby mixed herbs, aioli, and mustard red wine dressing. Mr. Szabo started off as a chef at the tender age of 15. Since then he has gained experience in some of England's most famous establishments including three of London's popular Michelin Star restaurants — the Chelsea Room, Ma Maison, and Walton's. He moved to Australian in 1988 to take up a position as sous chef at the Grand Hyatt Melbourne and later opened his own award winning restaurant Olives & Roses. 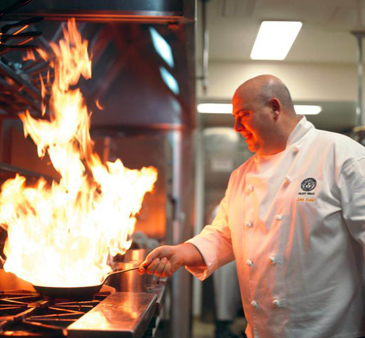 Currently, he serves as Executive Chef at Palazzo Versace located on Australia's Gold Coast. For more information or to make reservations please call Table 34 at (02) 559-7631. Or for other details contact Ms. Matilda Kim, Communications Coordinator, InterContinental Hotels Seoul (Grand & COEX), Tel: 82-2-555-5656 (Hotel), 82-2-559-7752 (Direct), Fax: 82-2-559-7990 (Hotel), 82-2-559-7996 (Direct).